While I still don’t maintain an active TBR list, the books listed below have caught my attention. I’ve requested almost all of them from my local library, and I’m looking forward to reading them this autumn as they become available. Look below the images of the various titles for my brief explanations on why each title appeals to me so much. 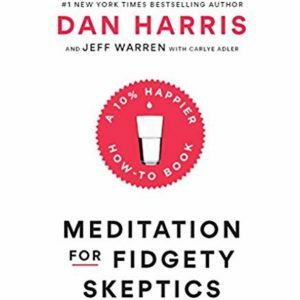 In general, I prefer books about mindfulness to approach this topic from a scientific point of view. I also appreciate it when they talk about how mindfulness can improve someone’s life in practical ways that are easy to apply to one’s everyday routines. For example, one of the titles in this list talks about living with chronic pain or illnesses. Another title focuses on how something as simple as paying attention to what you’re eating at mealtimes can be an excellent way to remain in the moment. 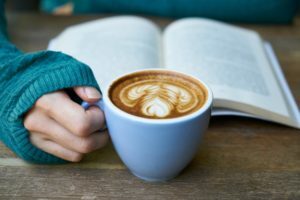 I can’t and won’t officially recommend any of these books until I’ve read them, but I thought my readers might like a peek at what I’ll hopefully be checking out in the near future. As a fidgety skeptic myself, I’m looking forward to seeing what on Earth this author is going to recommend to those of us who fit these two categories. The title made me smile, and I’m hoping the content will as well. I’m a peaceful person, but there are occasionally times when the actions of others get under my skin. I’m very good at walking away when someone is trying to get a rise out of me, but I’d like to become better at de-escalating those interactions as soon as they begin. 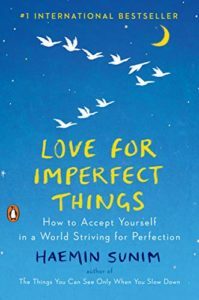 This is a little further down the New Age scale than I usually read, but I’m curious to se what the author has to say about perfectionism, self-care, and accepting love. I also think it’s a good idea to occasionally read stuff that’s out of your comfort zone. 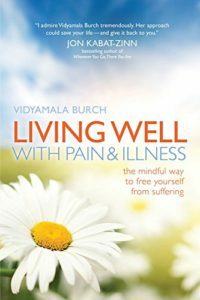 Living Well with Pain and Illness: The Mindful Way to Free Yourself from Suffering by Vidyamala Burch. As an able-bodied person who has never been seriously ill or in chronic pain, my main purpose for reading this book is to get a small glimpse of what mindfulness looks like for people who are living with these sorts of health problems. I appreciate it when monosexual people and and men take the time to listen to my experiences as a bisexual woman. There’s something to be said for seeking out the perspectives of folks whose experiences of the world could be very different from your own when they’re willing to share their stories. 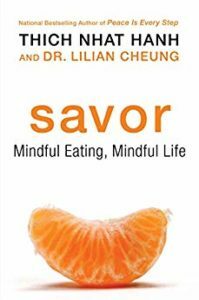 The authors’ exploration of the emotional side of eating is what I’m most curious to read about in this book. I’m not currently trying to change my weight, but I would like to hear what they have to say about food that’s eaten because someone is feeling strong emotions. This is something that most of the health and fitness bloggers I follow don’t talk about very much or even at all. 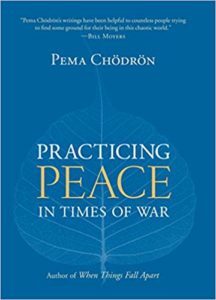 What books about mindfulness do you find helpful? Have you read any of the books on my list? If so, what did you think of them?